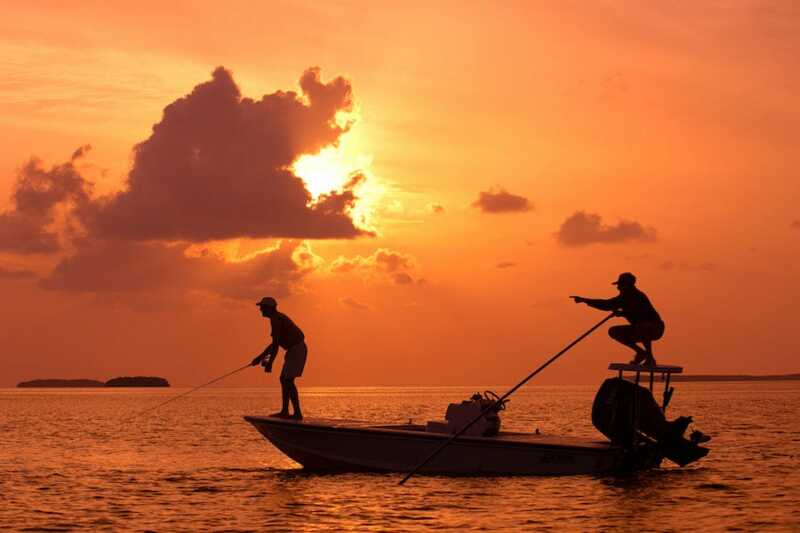 Islamorada’s Spanish name means the “purple isles,” for the snails and flowers found on the 7-mile chain famous for being the “sport fishing capital of the world.” Smack in the middle of the Florida Keys, the area has more attractions than some of its sleepy neighboring Keys, including diving, museums, and nightlife. 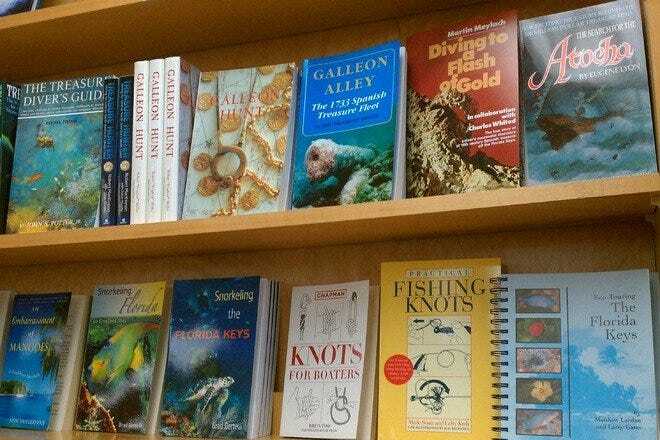 Even if scuba diving isn’t your thing, the History of Diving Museum may surprise you and makes a perfect stop on a rainy day. Artifacts are on display including diving helmets from all over the world and there are plenty of hands-on exhibits that keeps the attention of kids (and adults) of all ages. The museum frequently hosts educational speakers and special events as well. Islamorada has an influx of eclectic, high-end restaurants similar to what visitors find in Key West and Kaiyo Grill is one such venue. It serves Florida-infused Asian cuisine, a unique twist on classic sushi using yellow fin tuna, hogfish, and tropical fruits such as mango and pineapple. In 2010, the restaurant introduced its wood-fire grill and included items like filet mignon with gorgonzola, Peking crispy duck, and fresh fish with miso glaze and sake-braised shiitake mushrooms. While many flock to the nearby Holiday Isle Tiki Bar, (Postcard Inn) Rum Runners is the underrated classic that rarely fills up. This two-story rustic tiki bar has killer views of the sunset, friendly bartenders, and strong drinks (but you can guess what their signature is). It’s a great spot for dancing at night (the place is open until midnight), and they offer some basic bar food as well. Cheeca Lodge is a hidden oasis that has been welcoming guests for more than 60 years, but after a fire destroyed much of the property in 2008, it was rebuilt and now includes an open-air lobby, oceanfront banquet room with panoramic views, and an exclusive indoor/outdoor lounge. Set on 27 sprawling acres, Cheeca Lodge features an oceanfront pool, hammocks, a 525-foot wooden pier, and palm-lined beach with rooms and bungalows that feature West-Indies décor. The giant lobster outside lures visitors in for a cheeky photo op, but the Rain Barrel is an artisan’s village full of local work. 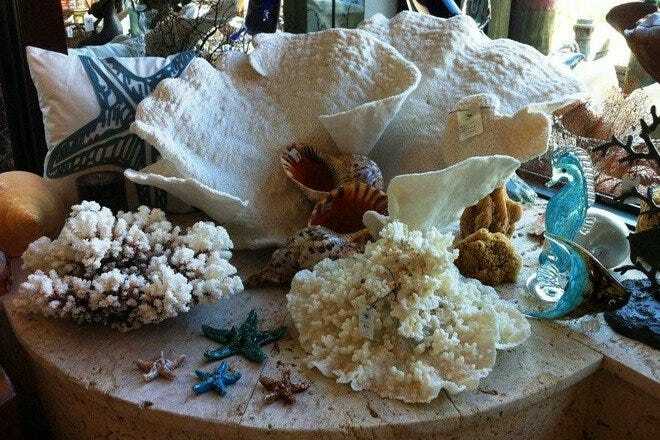 The pet-friendly village sells whimsical clay works depicting the back country and reefs of the Florida Keys, beaded jewelry, glass sculptures, pottery, paintings, and more – most with a tropical island theme. There are several buildings beyond the main entrance to explore, and a coffee and snack shop offers refreshments.